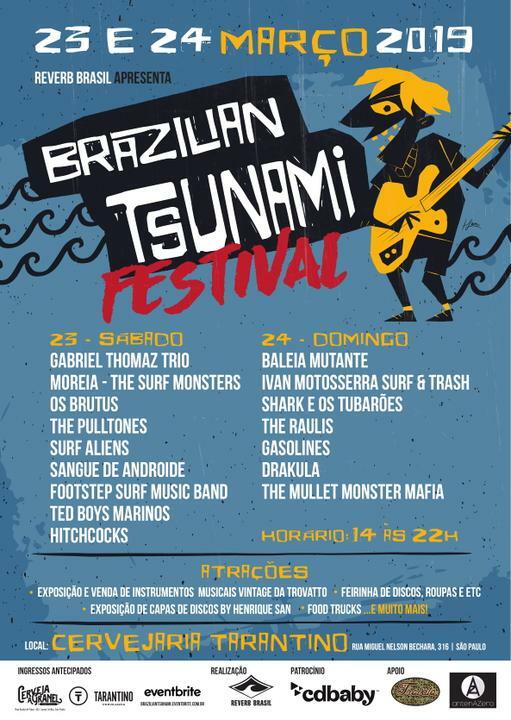 SurfGuitar101.com | News: Stories with tag: "festival"
Less than two weeks from now! And we need to sell a lot more tickets to make this an annual event! Where else can you see this line up of European surfbands in one of the most beautiful concerthalls in the Netherlands? 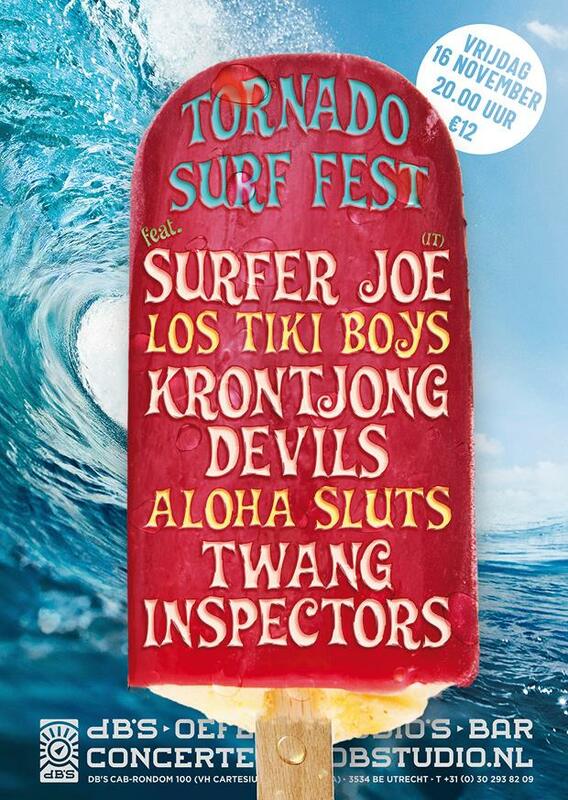 Surfer Joe (I), Kilaueas (D) plus an exclusive show by the Terrorsaurs (UK)! Plus three of the most playing Dutch surfbands at the moment: Stories From Shamehill, Biarritz Boys and the hosts of the evening Aloha Sluts! And for the people that want to go sightseeing in my hometown Venlo in the afternoon, be sure to check out an exclusive in-store gig by Surfer Joe in the biggest and best independent record store of the Netherlands; Sounds Venlo. The in-store gig starts at 15:00 hrs! If you need some suggestions for hotels? Hotel Puur is just around the corner (ca 75,-) other options can be found through www.bookings.com. Plus small festival market with: Surfin’s Back Again (records), Sleazy Tik & Tikiplaza (tiki art) plus a barber!